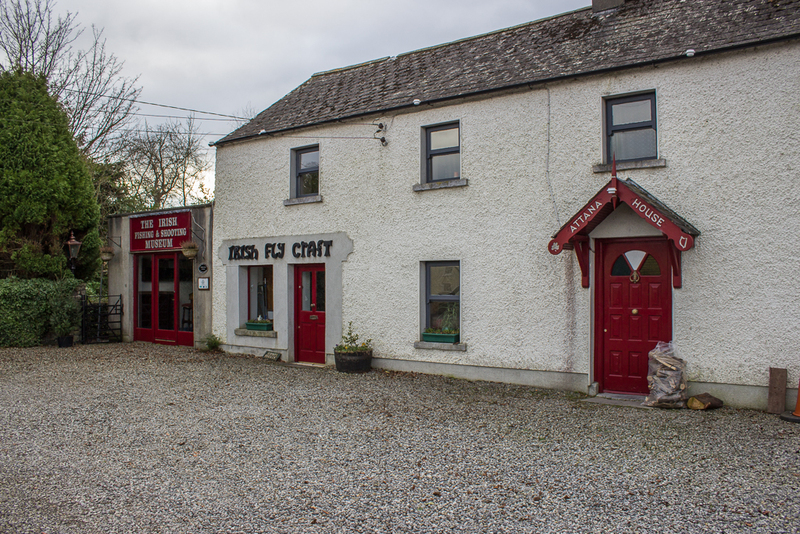 The Irish Fly Fishing and Game Shooting Museum explores 300 years of hunting and fishing in Ireland. It is a treat for anyone interested in country life. The museum was founded in 1986 by Walter Phelan, who comes from a family devoted to fishing. He has restored and adapted a traditional farmhouse to house a collection of vintage rods, reels, guns, tackle, tools and specimens of birds and fish. Exhibits tell the stories of hunting and fishing from two angles. They show ingenious devices—such as hollowed cow horn, used to hold mayflies for fishing—made by ordinary people who hunted and fished to supplement their diets. The museum also displays the exquisite guns, rods and tackle used by the well-to-do, who hunted and fished for sport. An entire room is dedicated to Garnett’s & Keegan’s, an Irish firm that supplied fine fishing and hunting equipment worldwide. Visitors to the museum can enter reconstructions of a Gamekeeper’s Room from the 1800s and a Gunsmith’s Workshop from about 1900. Other displays are housed in the Fishing and Game Shooting Room, the Trophy Room, the Clay Pigeon Room, the Boat House, and the Hatching Room. An ever-expanding Library contains information on all aspects of fishing and hunting in Ireland. Why were Irish flies so colourful? The most horrifying artefacts in the museum are three devices that people used to hunt each other. In the late 1700s, the owners of large estates used mantraps to discourage poachers. If a person sprung a man trap, large metal teeth would grab his or her leg. While the victim usually escaped, the broken bones and mutilated feet caused by mantraps often resulted in gangrene, and ultimately death. The traps were so lethal that they were outlawed in 1829.